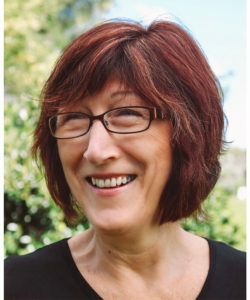 Early motivation of being published in the Brisbane Sunday paper (and the first prize of one dollar) saw her published early and often before high school, when she took to co-writing a hand created “magazine” called JAPA, which started life as a poorly planned cover page for a geography assignment. Inventive art and potentially slanderous content made it a hit with students, and an eye opener for teachers, and it’s print run was short-lived. A young JK Rowling cleverly used an Enid Blyton Secret Seven library book as a portkey to thieve Kathy’s handwritten manuscript detailing thirteen year old Araminta Green’s admission to witching school via a trunk in her grandmother’s attic. Granted, JKR managed to turn twenty-two pages of messy, pre-teen handwriting in a single exercise book into a seven book series, but surely payment for the library book replacement would be the least she could offer as recompense. Kathy wrote short poems that were surprisingly mature for a fourteen year old country kid, about teen pregnancy, an abused woman, and relentless global progress. Standard topics for teenage verse, apparently. Her rhymes sending up colleagues and bosses in the workplace were both hilarious and politically incorrect, and frequently had long runs on kitchen noticeboards. 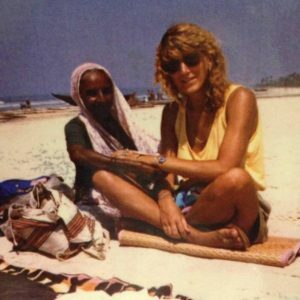 Kathy playing at sun-kissed traveller at Goa, 1989. Travelling overseas in the pre-tech, pre-social media era meant the writing of several hundred, maybe even a thousand postcards and letters, some of which returned to the author much later in life and caused some concern about the mental health of her younger self. A long stint in local government resulted in the writing of numerous ratepayer newsletters, tourism flyers and community blurbs, and in one case, a bush ballad to farewell a teacher from a tiny school on the edge of the Simpson Desert. She’s lived in country towns, Australian capital cities, the aforementioned desert edge and London, UK. Currently she lives in 110 year old house that badly needs restumping. During her writing career, Kathy has researched and written everything from ads to mayoral speeches, tourism guides to annual reports. In website editor and author roles, she has proofed, edited and created content, and has written web content and blogs for clients as a VA.
Humour has long been a favoured genre, and you can find examples of this and other styles of her writing on the pages of this site. She currently writes content for a number of websites and blogs, and is gathering material about personal achievement from ordinary, everyday people for compilation into a book. If you’re interested in contributing, read more here.